We wish all the readers of our blog a Happy New Year and lots of love, happiness, health and adventure for 2019. We had an exciting year 2018 and look forward to more adventures in the new year on the Southern Hemisphere. 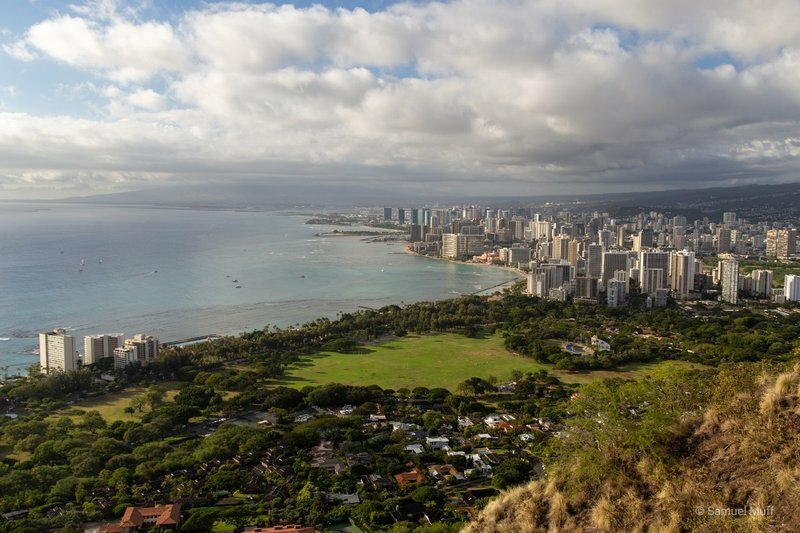 We spent a mere 2½ days on Oahu, the most populated island of Hawaii. 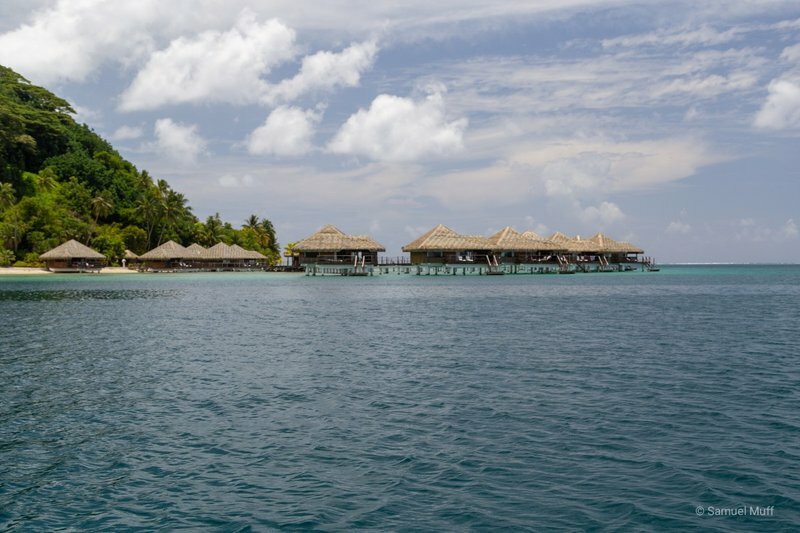 The decision was made because the island is supposed to be the most crowded and touristic. 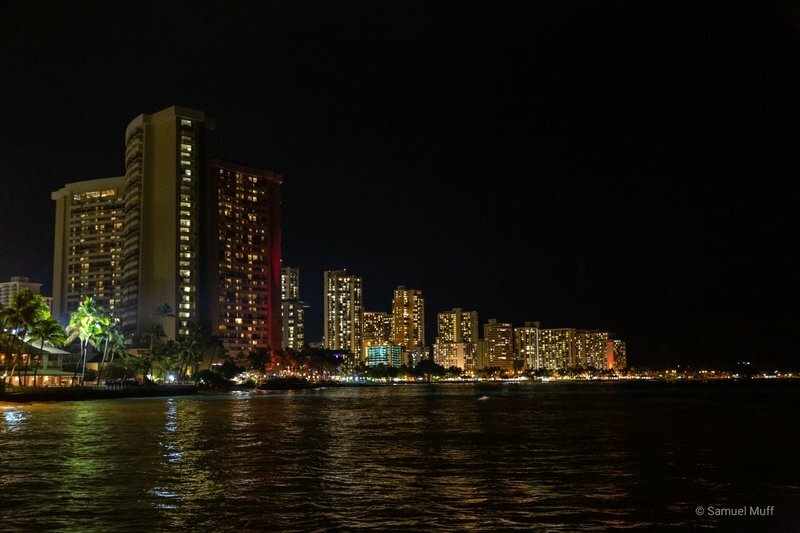 We would have probably skipped the island all together, if not for the fact that most international flights go in and out of Honolulu. We got up early on our first day in Honolulu, to go to Pearl Harbor and see the Arizona Memorial, for which tickets are free but limited. When we arrived there, we learnt that we would have had to stand in line at 6am (the ticket office opens at 7am) to have a chance for a ticket. 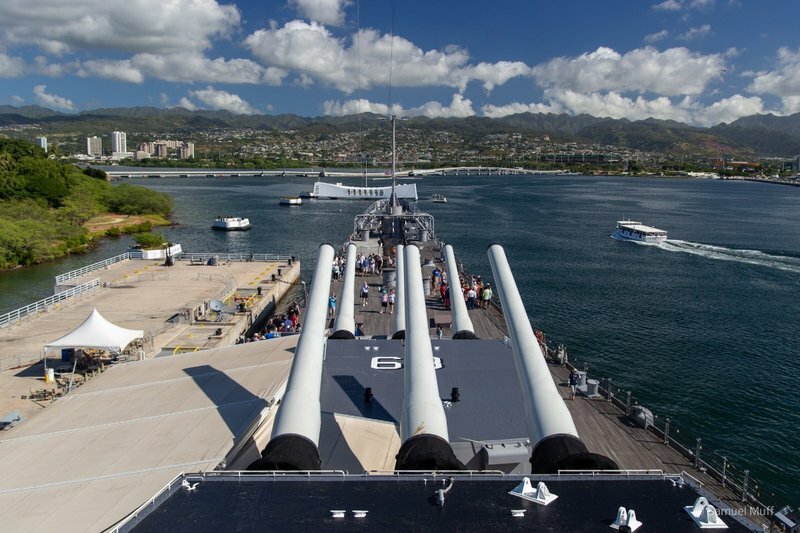 Instead, we went to see the USS Missouri, a giant battleship with a fascinating history. 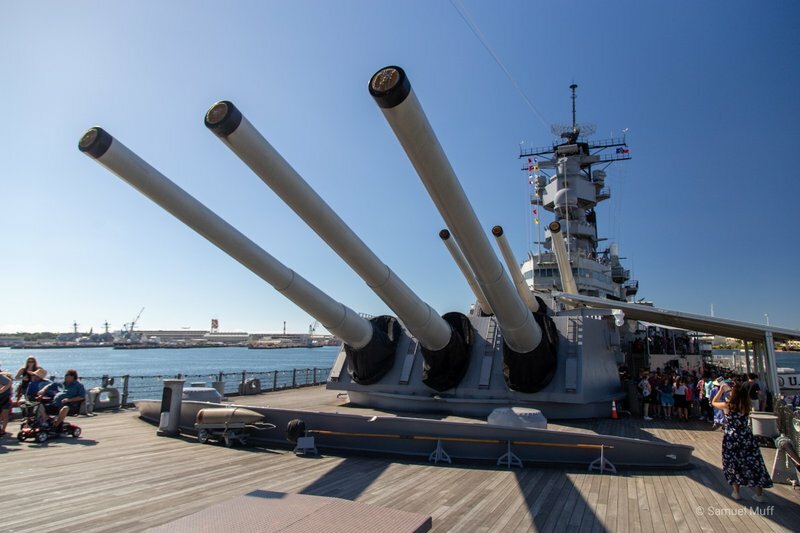 The Missouri was the last battleship of any navy in the world in active service (nowadays aircraft carriers have taken over). More significantly, on this very ship World War II was ended on September 2nd 1945 with the Japanese signing the surrender to the Allied Forces in Tokyo Bay. 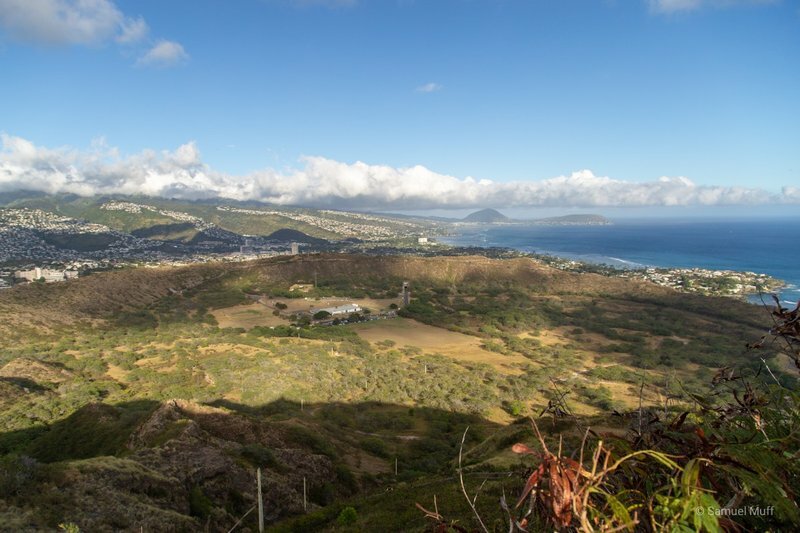 In the afternoon we went to the Diamond Head crater in the East of Honolulu to hike the short but steep trail to the summit. 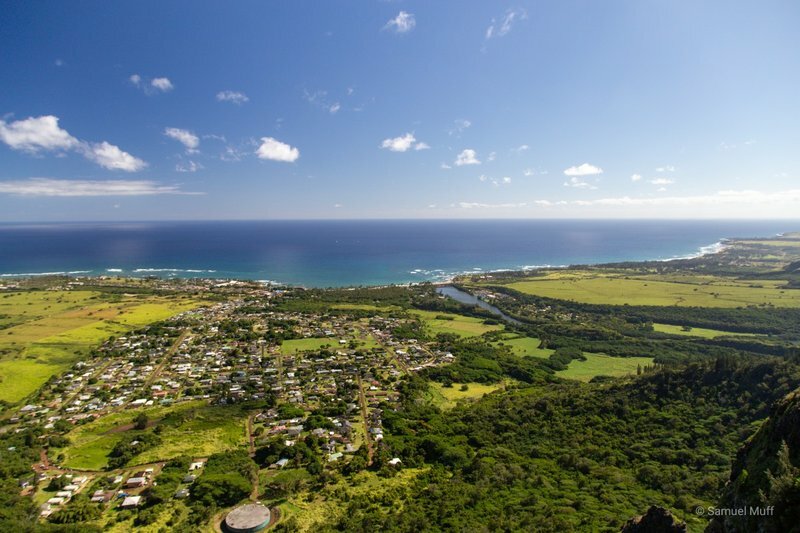 From there, we had a great view over Waikiki Bay and the Eastern Shore of Oahu. The next day, the weather was not on our side and we had to ditch our plan of exploring some beaches, as this is not much fun in pouring rain. 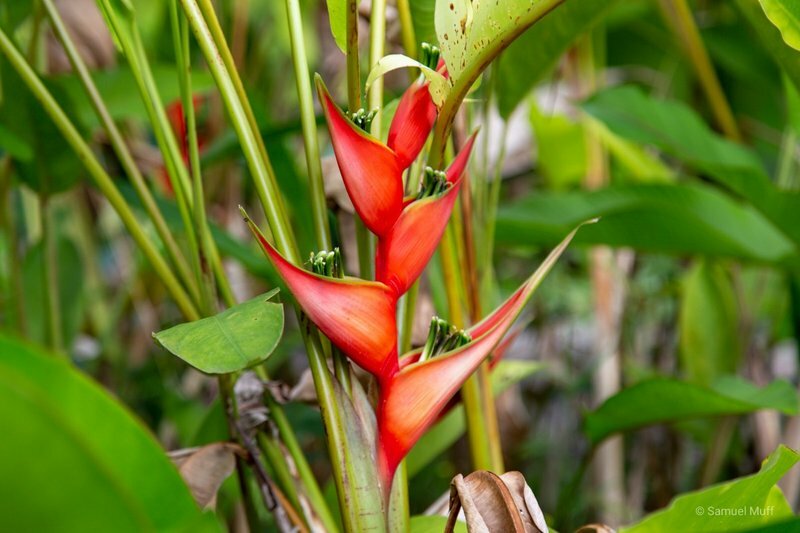 We found that a nearby shopping center was offering free classes in various Hawaiian culture activities. So we spent the day learning to dance Hula, to give each other Lomilomi massages and to make Lei, the Polynesian flower necklaces. 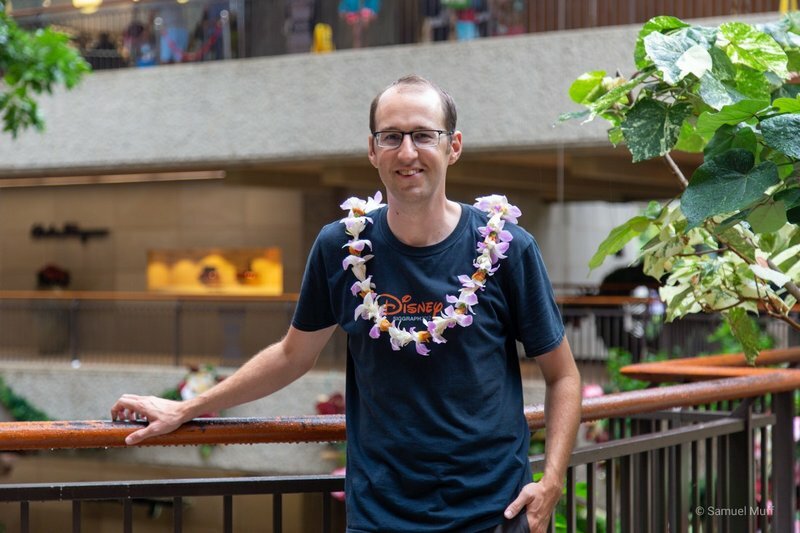 In four weeks in Hawaii no one has offered us a Lei, so at last we got one from each other. 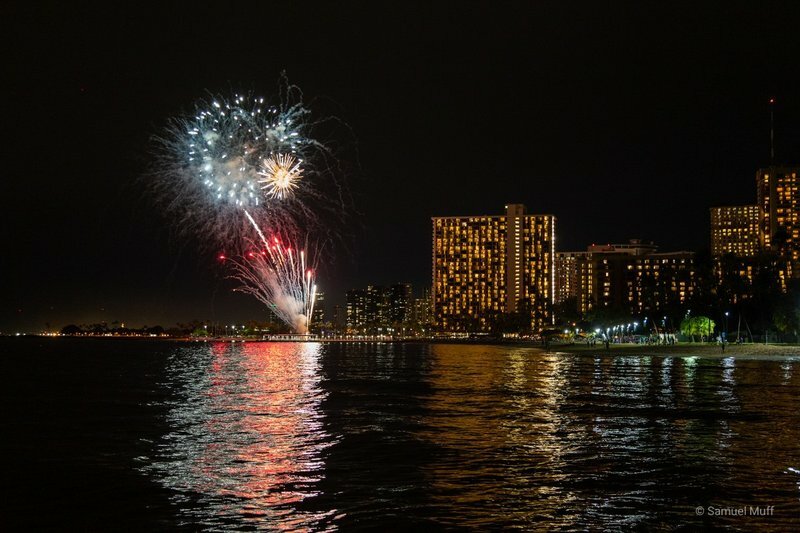 In the evening, we enjoyed the free firework display at Waikiki Beach, which was the closest we have gotten to a beach on Oahu, since the next day the weather only bettered when we had to leave for the airport. 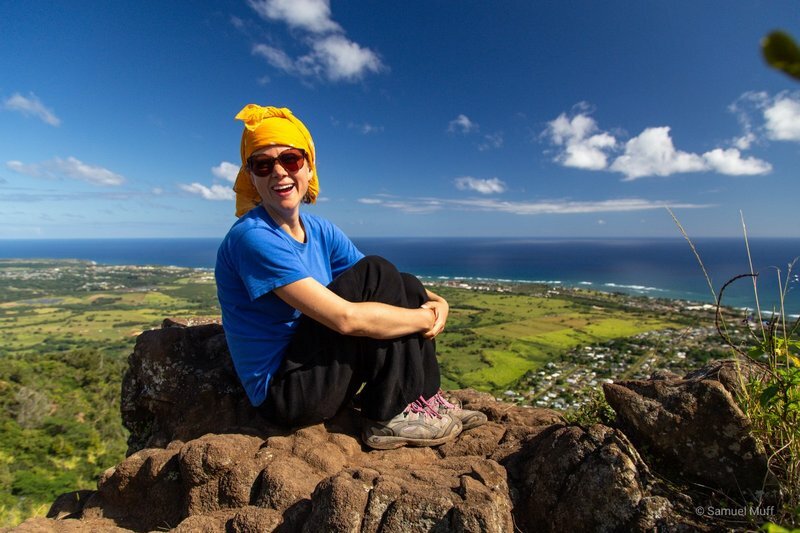 We spent a total of 29 nights in Hawaii and visited all four major islands. We were uncertain how to best split our time before coming here, but in retrospect we feel that we have done it exactly right. 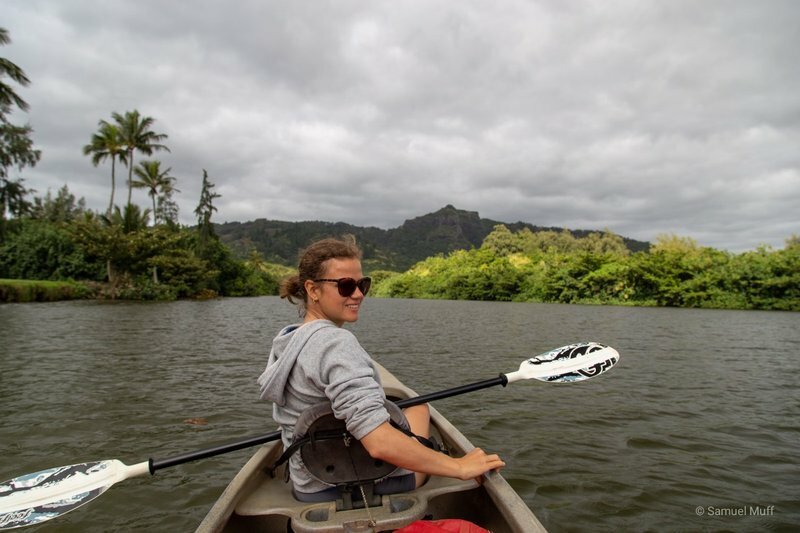 We spent 10 nights in Kaua’i, which we felt was the most interesting island with the most things to do. 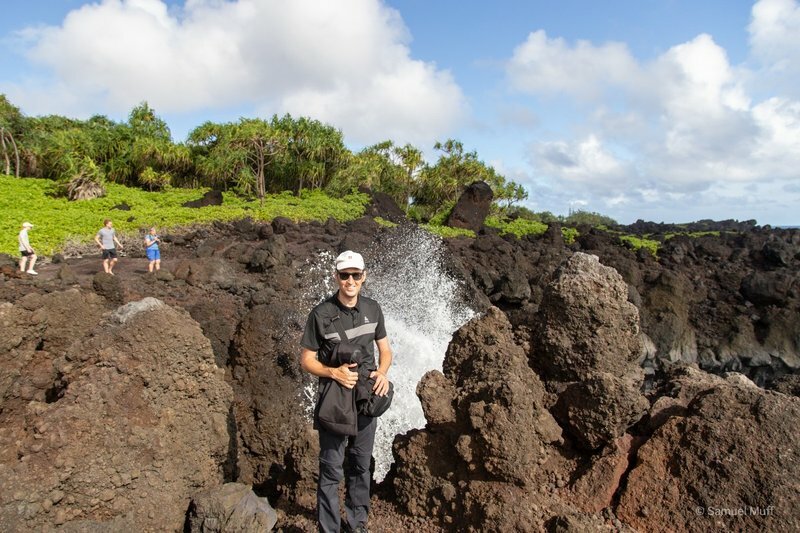 9 nights we spent on the Big Island, which has great beaches for boogie boarding and the most active volcano. 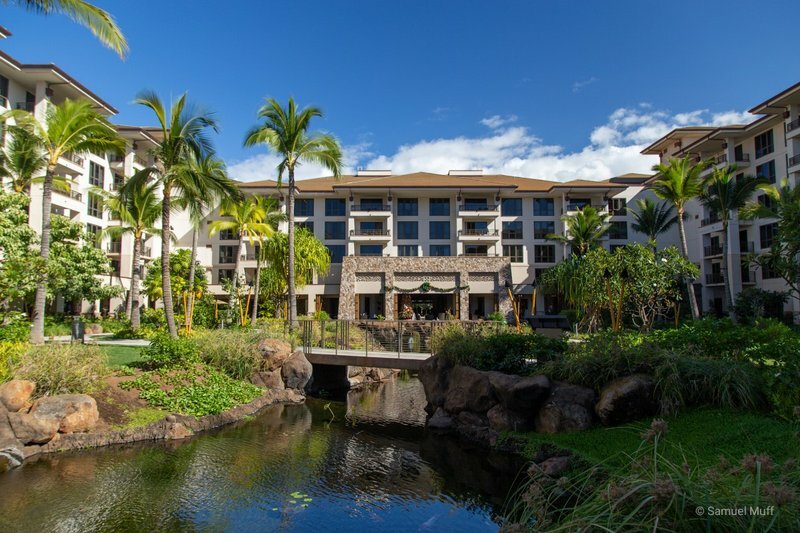 In Maui, we spent 7 nights. 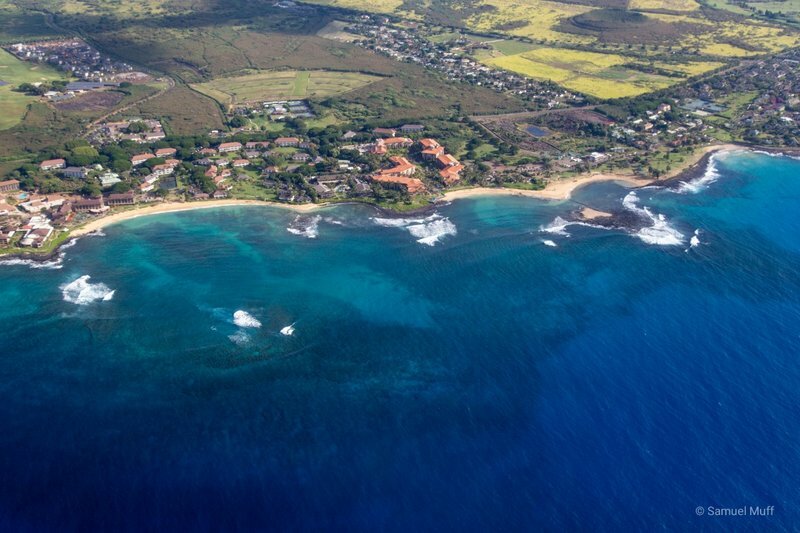 Maui has the calmest beaches, making it the best place to swim. 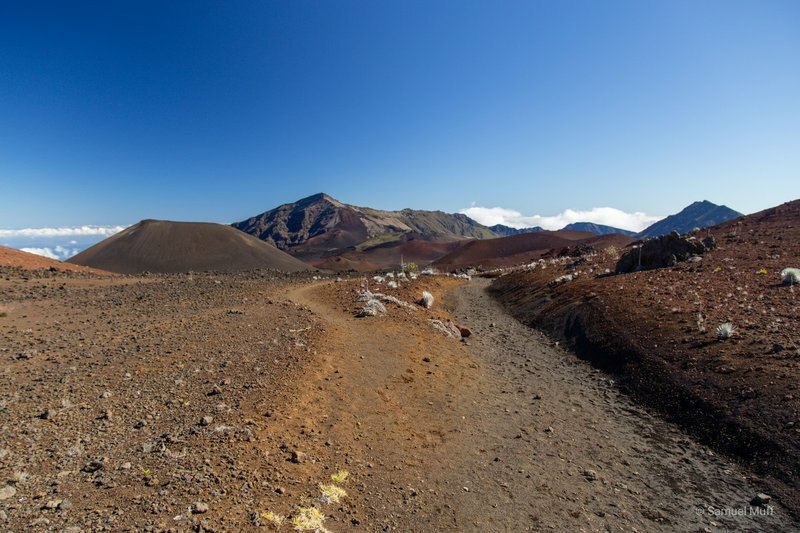 The volcanic landscape of Haleakala is something we haven’t seen on the other islands and whale watching in winter is another good reason to come here. 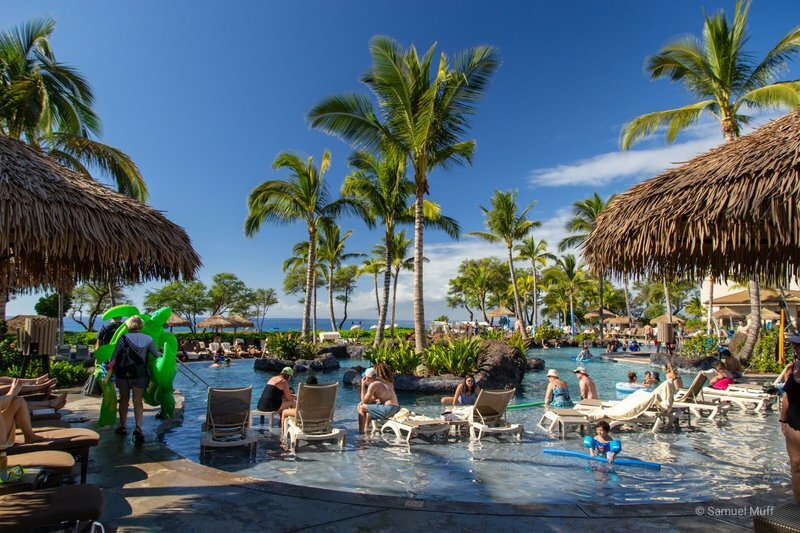 However, Maui is noticeably more touristic than the Big Island and Kaua’i and especially West Maui is very crowded. 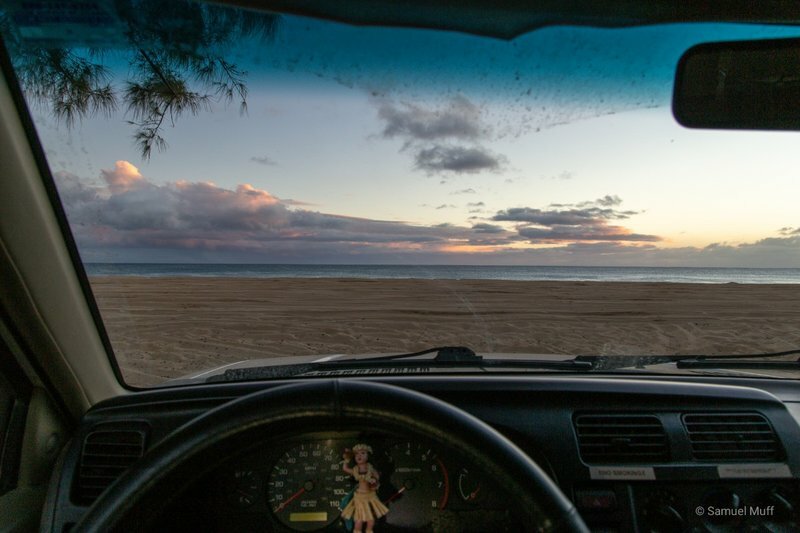 It’s a great place if you primarily look to spend time at the beach, but we felt that there are few other activities (unless you have a large wallet). 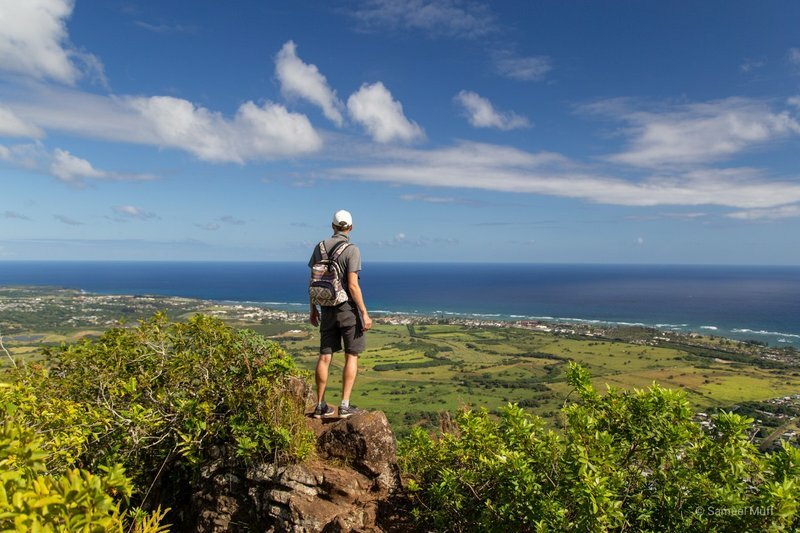 We did not spend enough time in Oahu to make a fair judgment, but it seems there is little there you couldn’t see on the other islands and you will share your experiences with vastly more people. 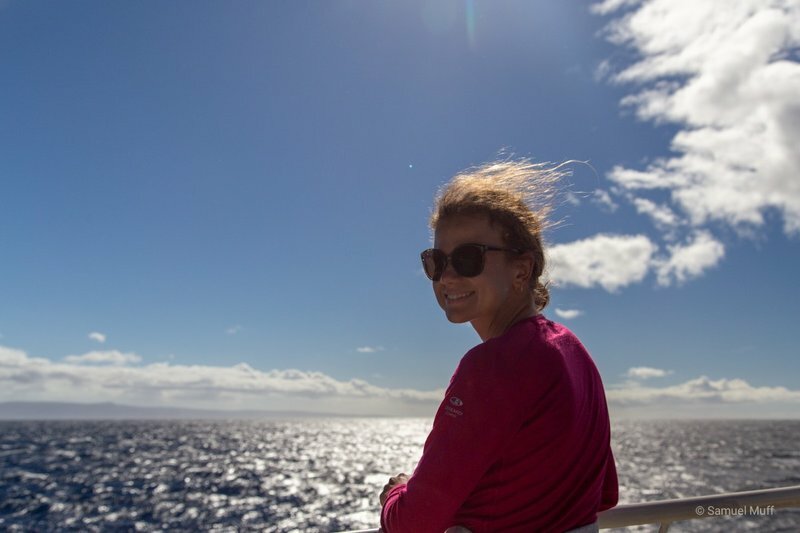 On the 29th of December, we left Hawaii towards French Polynesia. We feel very lucky to be able to visit both of these beautiful places on the same trip. The island of Maui was the third Hawaiian island we visited. 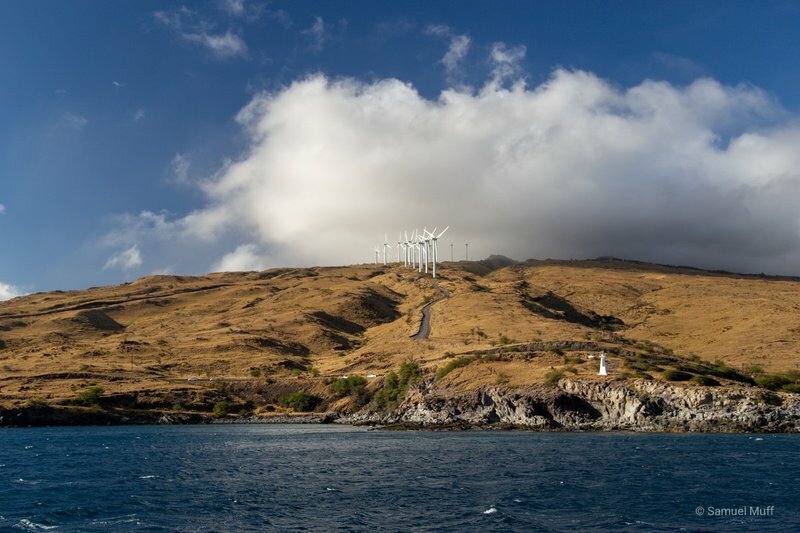 It is close to the lesser known and harder to reach islands of Moloka’i, Lana’i (owned almost entirely by Oracle founder Larry Ellison) and Kaho’olawe. 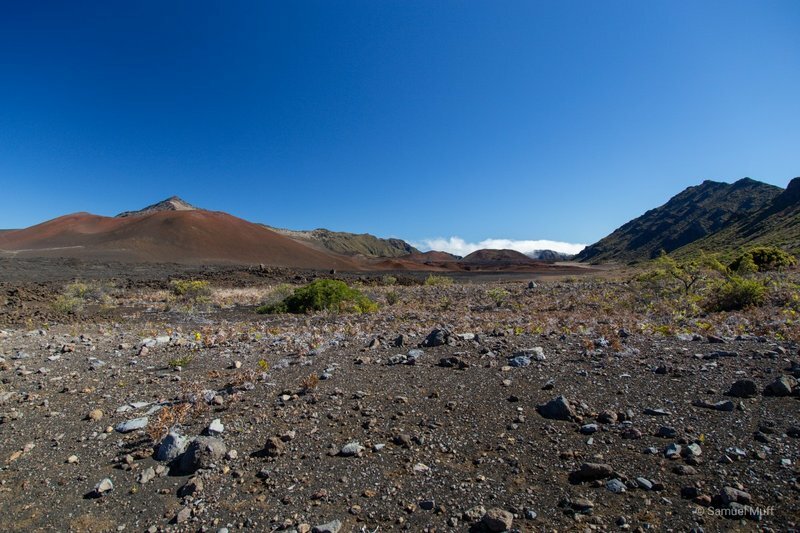 Once all these islands were one, which is the reason why the waters between them are relatively shallow compared to the waters around the other Hawaiian islands. This warm, shallow water attracts around eleven thousand humpback whales each winter, who migrate here from Alaska to mate and give birth. 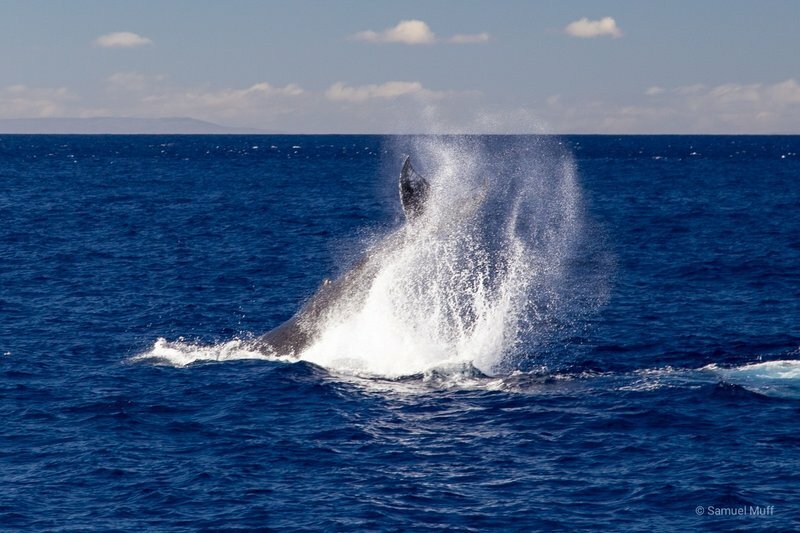 While one can see humpback whales around all the Hawaiian islands in winter, Maui has by far the most and is therefore the best location for whale watching. Indeed, we were not disapointed on our whale watching tour and saw many of them. Most just showed their back, but some were more active and splashed the water with their flukes. 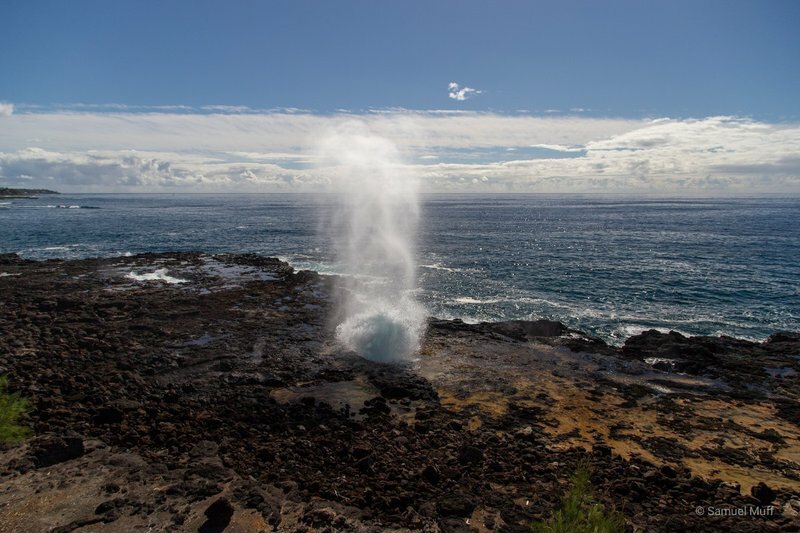 Sam even saw one of the 25 ton giants breach, which is the act of the whale jumping almost entirely out of the water to make a huge splash. These whale sightings were always very quick, so if you happened to look in the wrong direction, you would miss it. 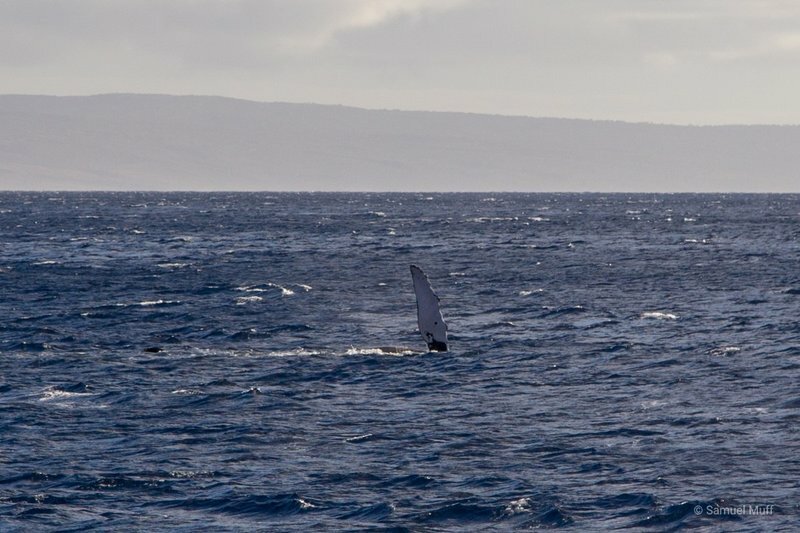 On the way back, one whale waved goodbye to us with his dorsal fin. 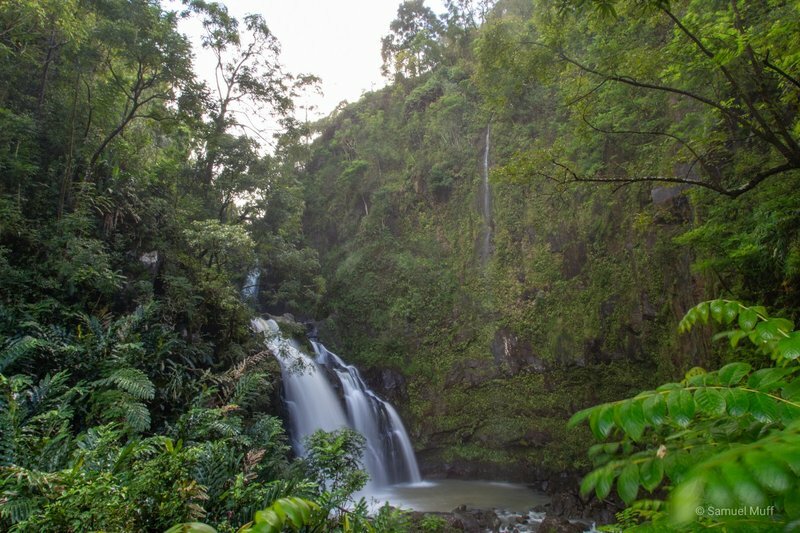 Another day, we drove the scenic Road to Hana, a narrow highway leading through countless switchbacks and one-lane-bridges to the small town of Hana on the East Coast. 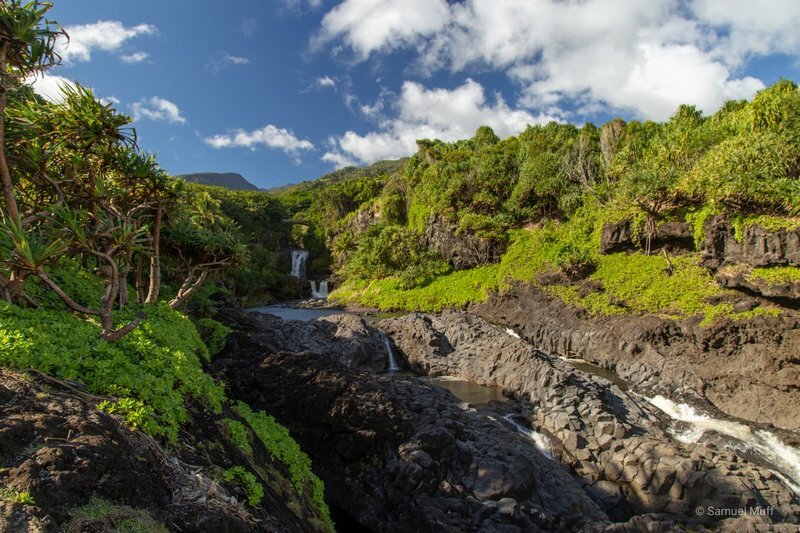 Along the road, there were many beautiful waterfalls and small beaches. 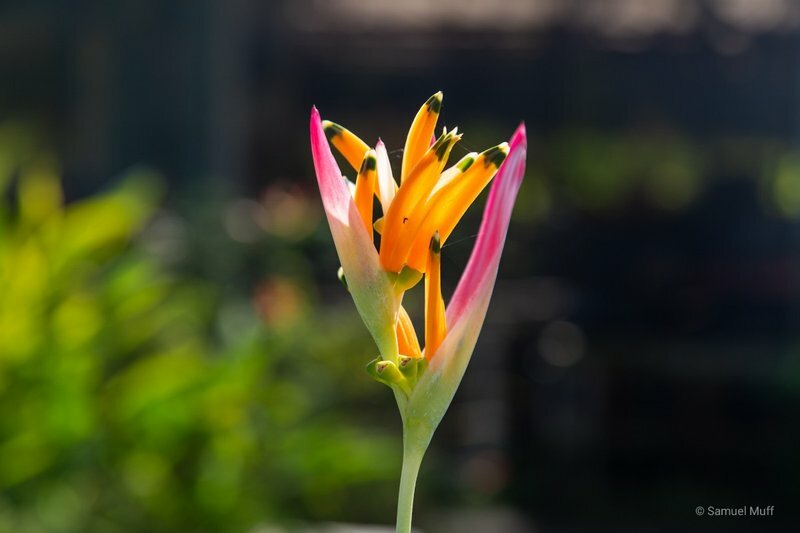 One of our favorite stops was at a tropical flower farm, where we got a free tour of the exotic and colorful flowers of Hawaii. We even got a free bouquet of flowers that were deemed not perfect enough to sell, but were still very beautiful. 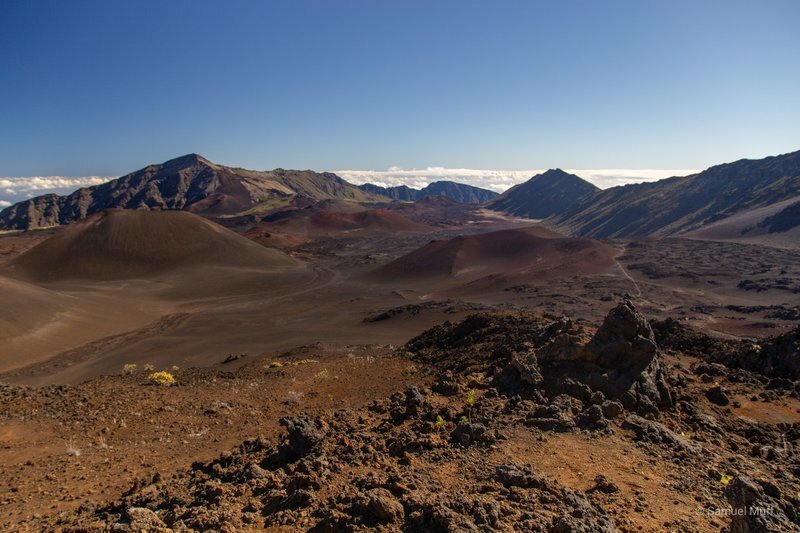 On December 22nd we planned to do a hike in Haleakala National Park and visit the highest point of the island. We were a bit scared when we read that the US government shutdown would start exactly on that day. Although visitor center operations and park maintenance was halted that day, the park gates luckily remained open to visitors. 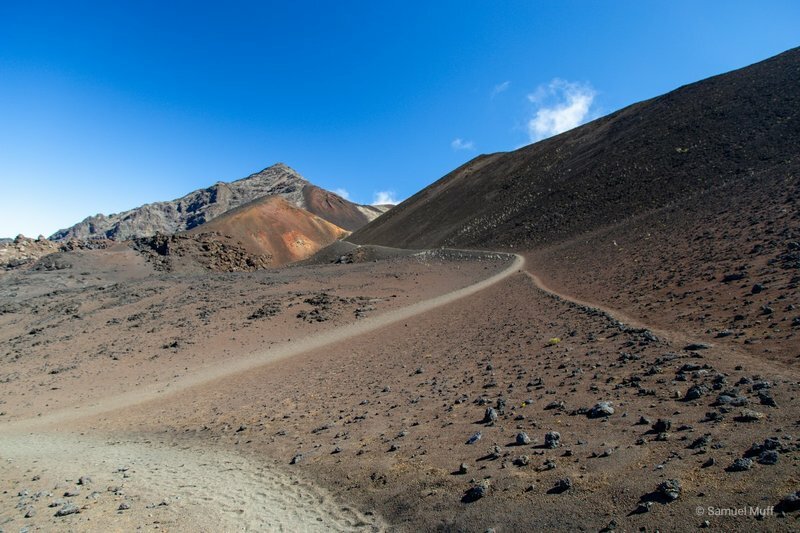 We did our first longer hike since leaving Bhutan, which lead us from the summit of Haleakala down through the strange volcanic landscape. 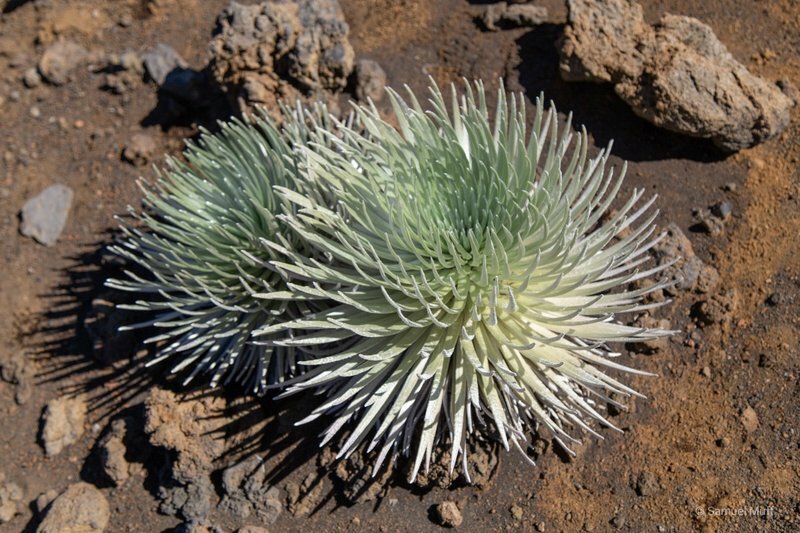 This landscape is home to a special plant, called silversword, that grows exclusively on this volcano. 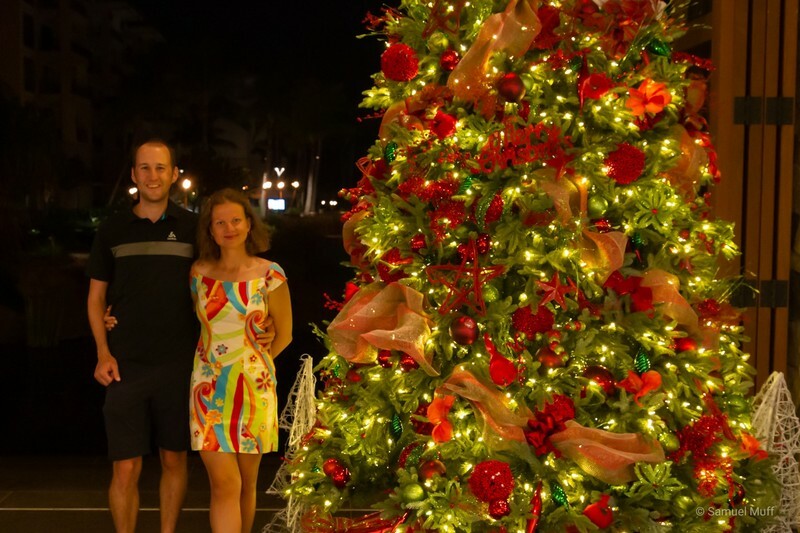 We spent the Christmas holidays relaxing at a resort in West Maui, enjoying our time at the beach or in the pool. 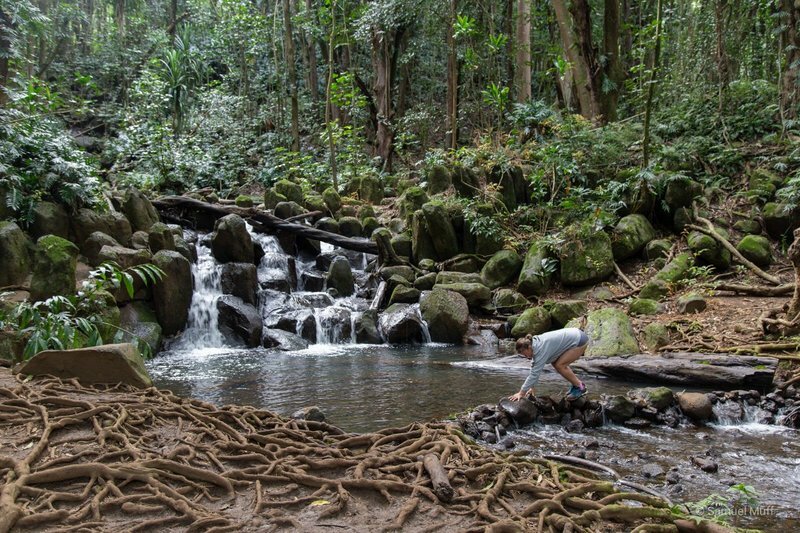 This part of Maui was by far the most touristic area we have seen on Hawaii so far. Luckily, we returned our rental car when we got there, since the parking situation around Lahaina was a nightmare. On our 26 days in Hawaii so far, we have probably seen at least one rainbow per day. 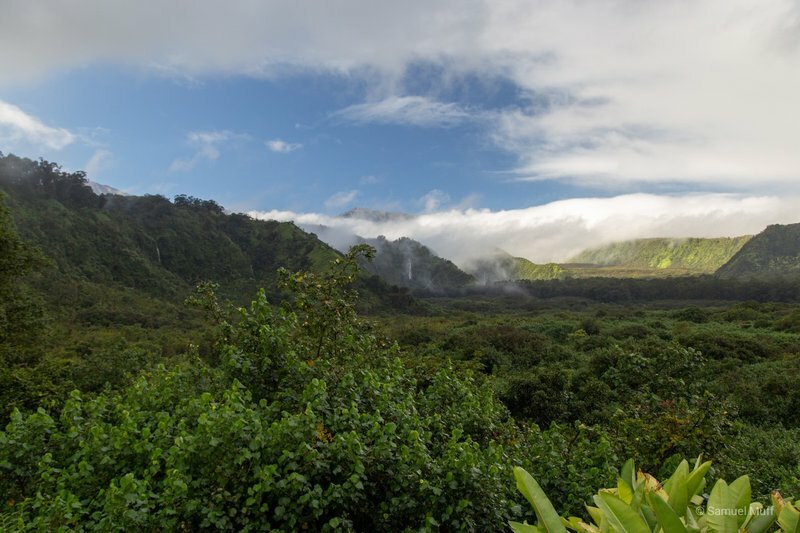 Maybe it is because it always rains somewhere on the Hawaiian Islands and the sun always shines somewhere else. The rainbows also seem larger and more pronounced than we have seen anywhere else. 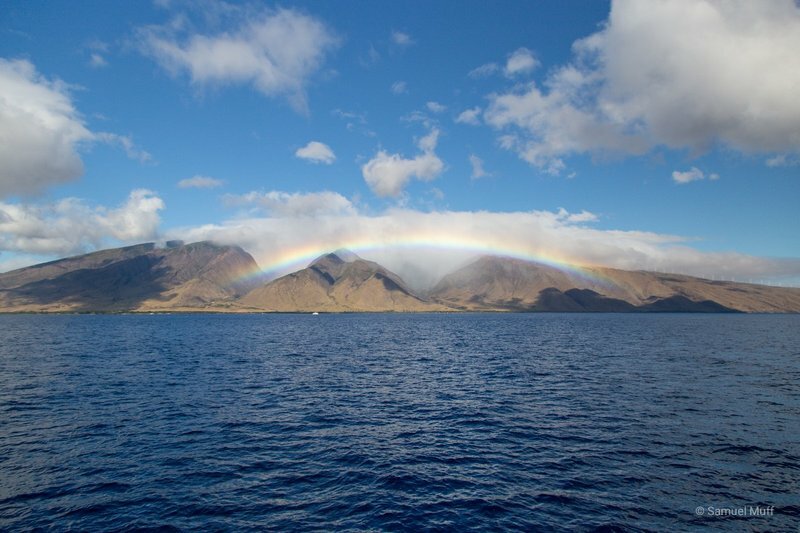 Every morning in our resort in West Maui, there was a large rainbow in front of our window, plunging into the ocean. We wish all the readers of our blog a merry Christmas and a happy holiday time with family and friends. 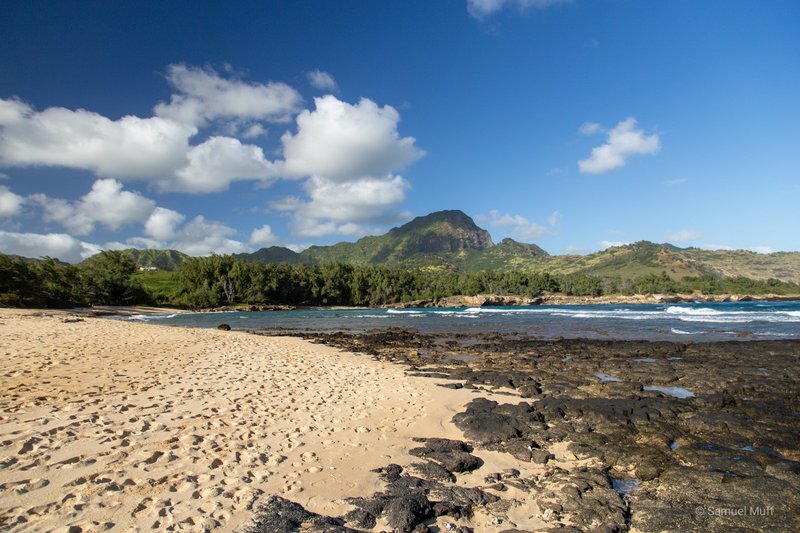 The South Shore of Kaua’i offers the best beaches in winter, when the North Shore is typically too rough for anything but surfing. 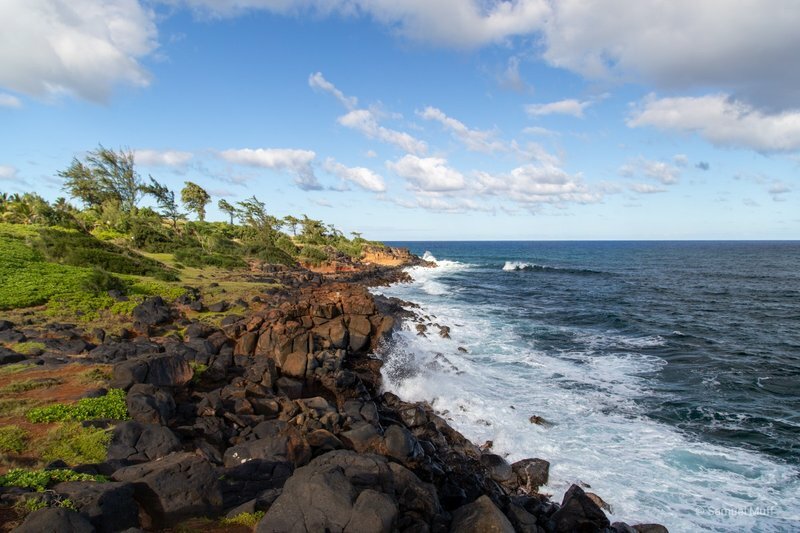 We spent a few hours walking parts of the Maha’ulepu Heritage Trail, which follows the coastline and passes many beautiful and remote beaches. 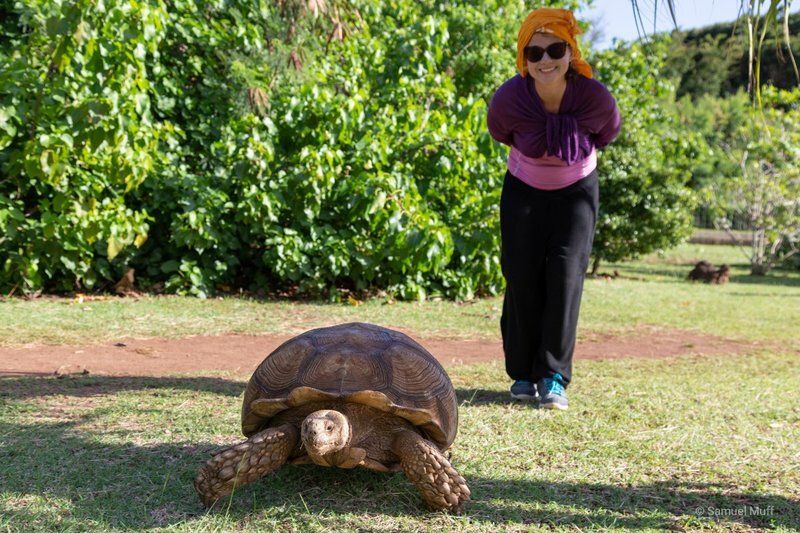 Along the way, we stumbled upon a small caged area where someone had introduced giant tortoises, like the ones found in the Galapagos. Visitors were free to enter and walk around with the pre-historic beasts. Po’ipu is the main resort town in the South and we spent half a day there boogie-boarding on Brennecke’s Beach, a beach exclusively dedicated to that sport. While waiting for the next wave, something big and rigid hit Sam’s leg. Looking down, we discovered a giant sea turtle swimming calmly through the waters. 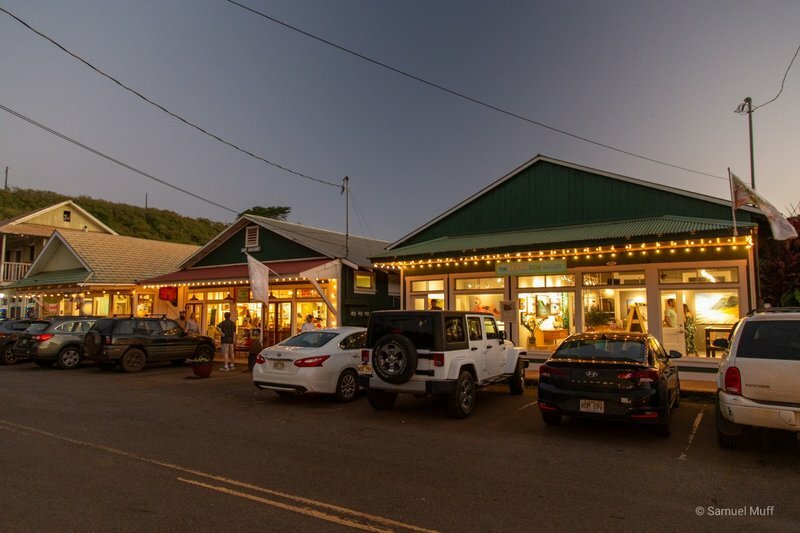 Our only night out on the island we spent in Hanapepe, where every Friday is Art Night. The small village seems to have more art galleries than inhabitants. Our favorite painting showed four chickens riding a wave, using a cow as a surfboard. 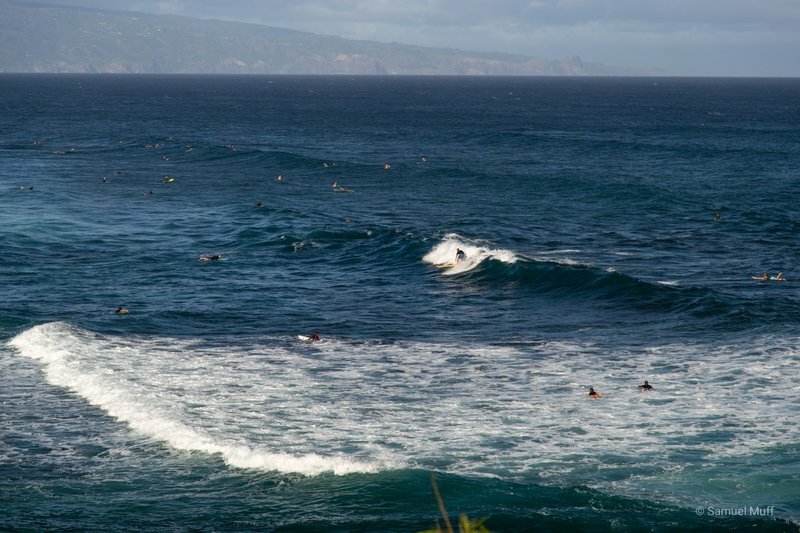 We spent one day driving up to the North Shore, where all the surfers enjoy the huge waves in winter. 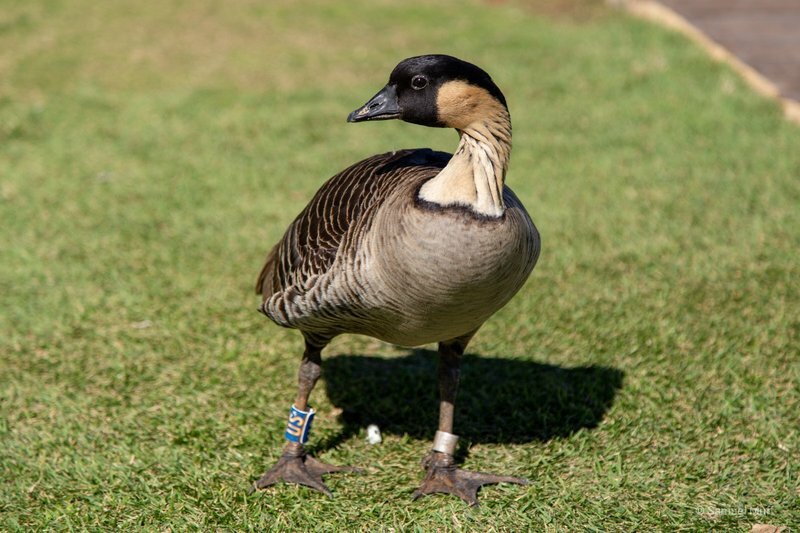 In the Kilauea Point National Wildlife Refuge, we saw Hawaii’s State Bird, a native Hawaiian goose called Nene, for the first time. 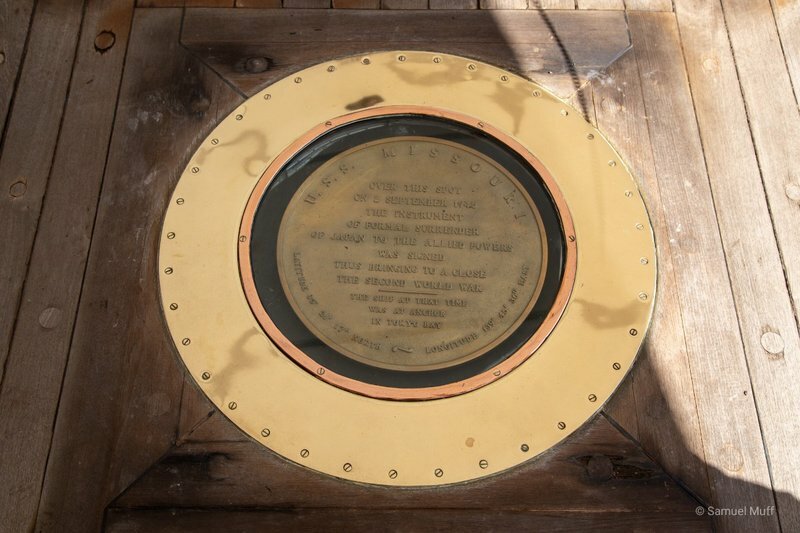 The highlight of the Refuge, however, was the tour of the small lighthouse located there. 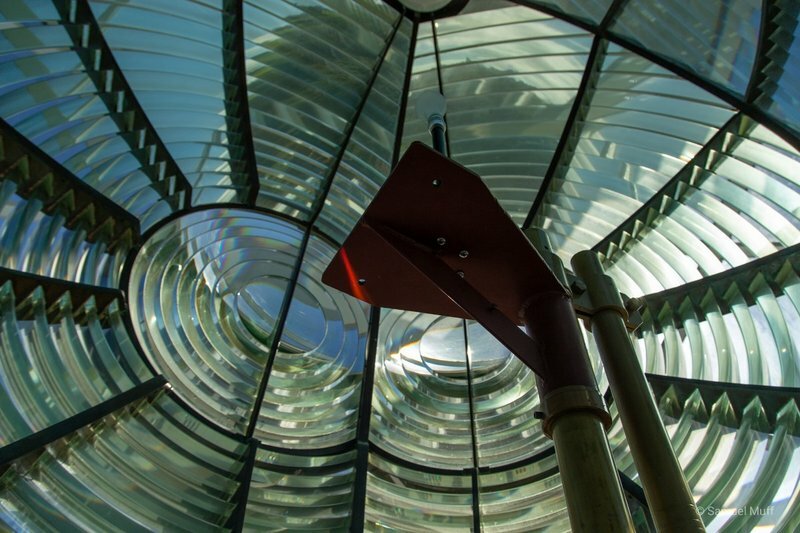 The lighthouse was quite pretty and their huge Fresnel lens on the top was impressive, but all of that was surpassed by our lighthouse guide, who had an enthusiasm like she was showing us the only building on the planet. 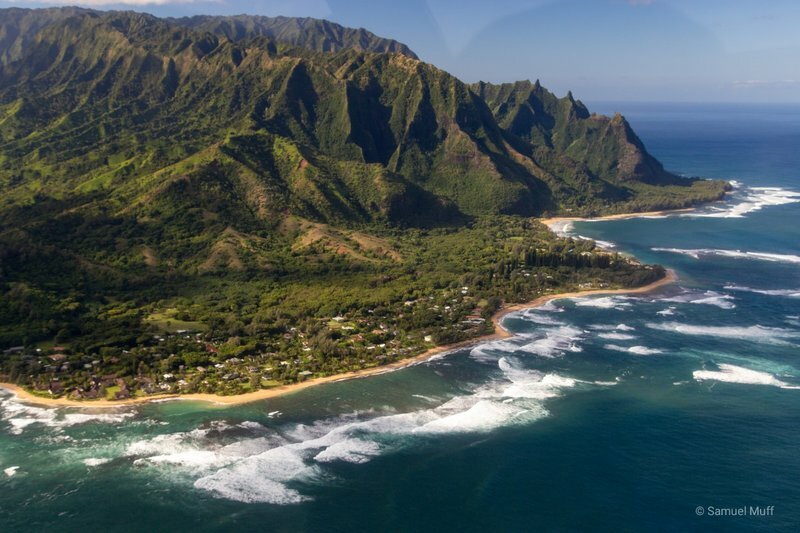 Farther up the road was Hanalei Bay, home to some of the world’s best surfing spots. Unfortunately, this was already the end of the road for us. 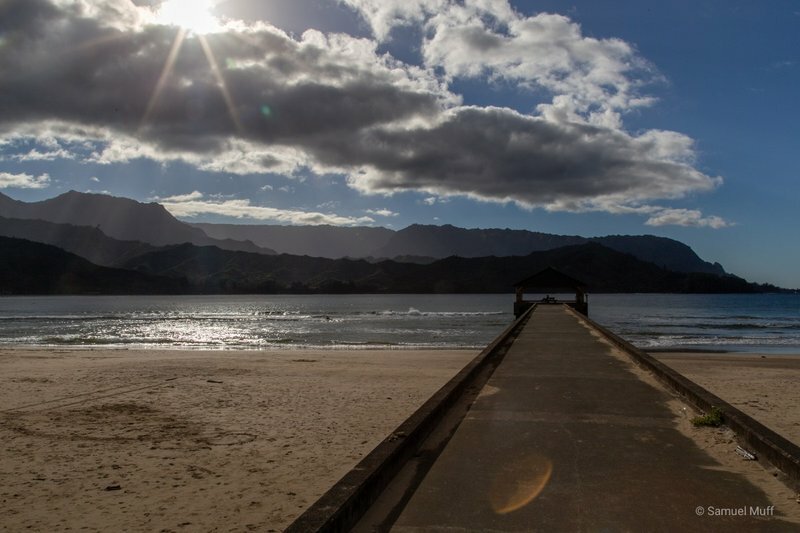 In April of this year, a flash flood had destroyed roads past Hanalei and it was still closed in December. 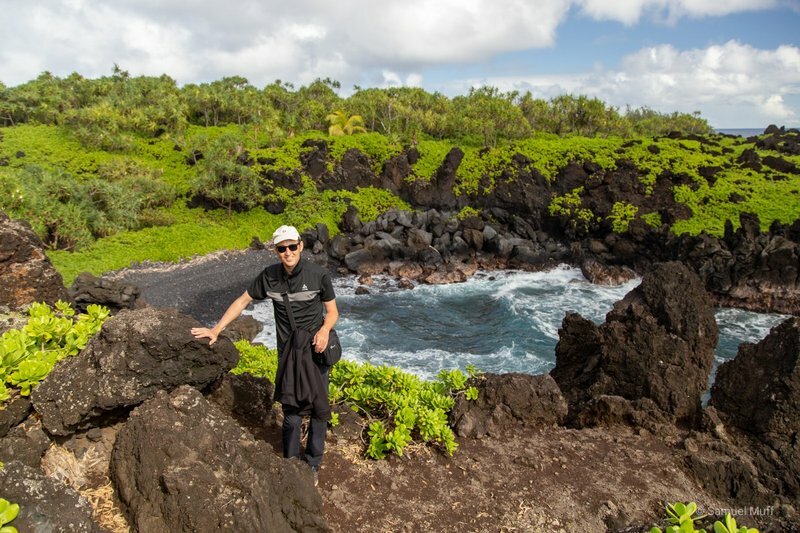 This robbed us of the opportunity to see the most beautiful beaches of the North Shore and the best hike of Kaua’i, which would lead far into the wild nature of the Na Pali Coast. 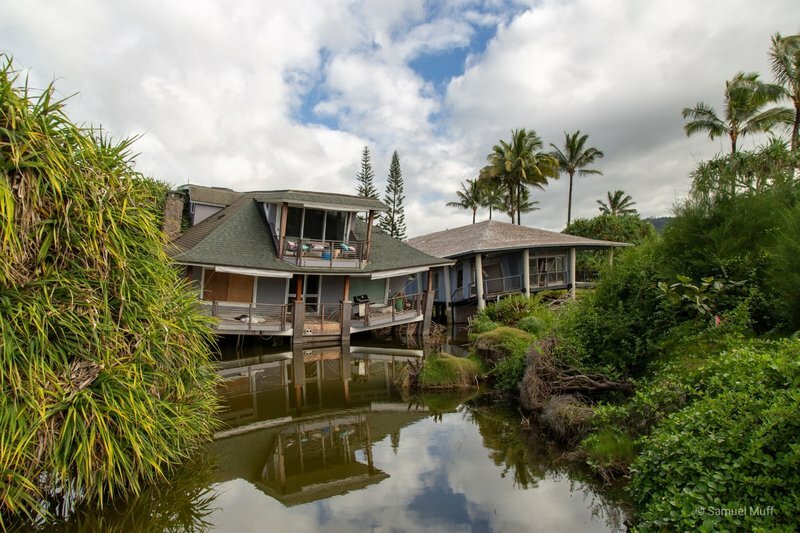 The destruction of the April flood was still widely visible in the town of Hanalei. The East Shore proved to offer the best activities on the island. 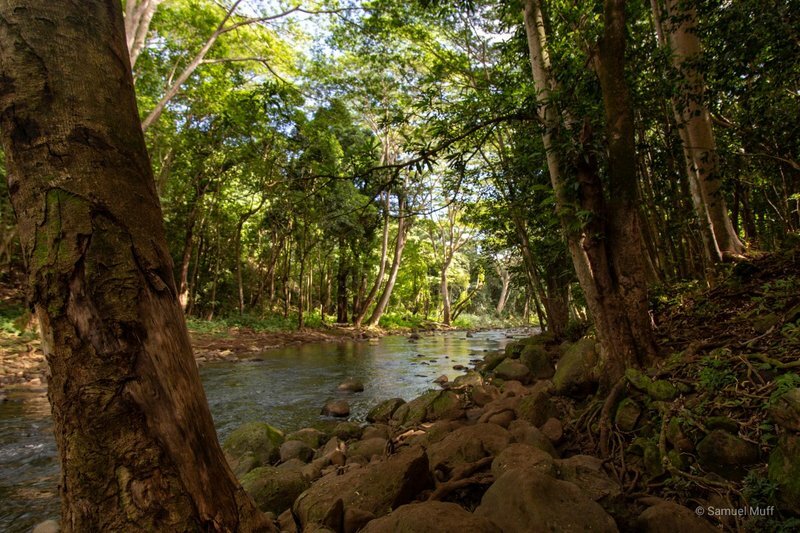 We spent one day kayaking up and down the Wailua River. Luckily, we did this on a Sunday, when all the guided tours do not run. We just rented our own kayak and enjoyed the time on the almost empty river. 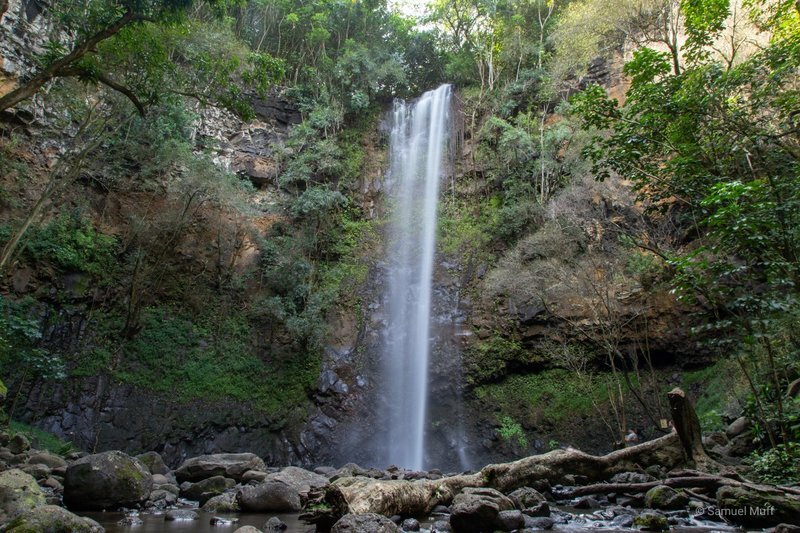 From one point on the river, only reachable by kayak, there was a 1½ hour round-trip hike to a large waterfall. The hike was quite difficult. It involved wading through rivers four times and large parts were muddy and slippery. Another day we hiked up to Nounou (Sleeping Giant) Mountain, named so because its shape resembles a sleeping giant. The steep hike up to the giant’s head rewarded us with fantastic views over the entire East Coast and the inner parts of the island too. 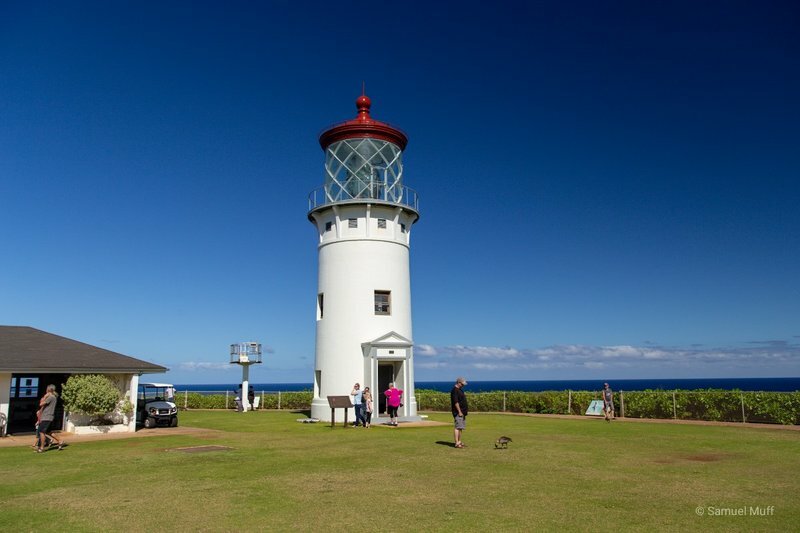 A large part of the East Coast is accessible through a long paved coastal walkway, called Ke Ale Hele Makalae, which we also walked in parts. 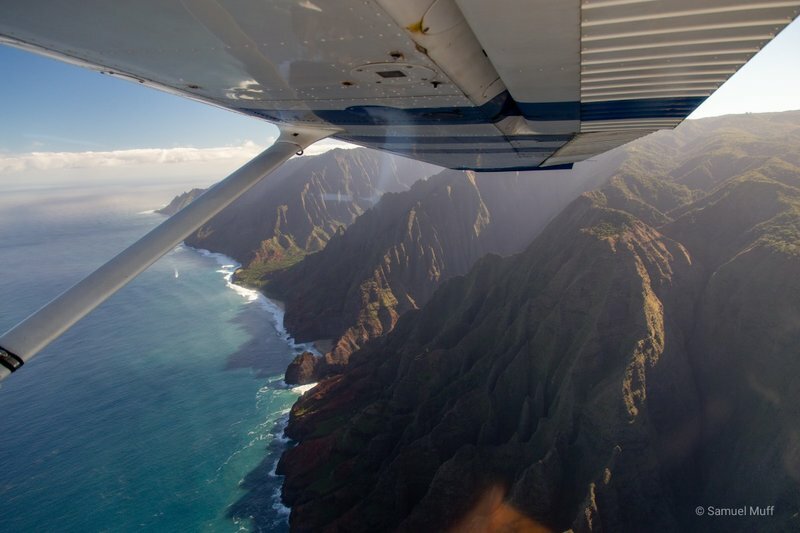 The highlight of our stay on Kaua’i was a flight over the island. Most of the inner part of the island is completely inaccessible or privately owned, so the only way to see this area is by flying over it. 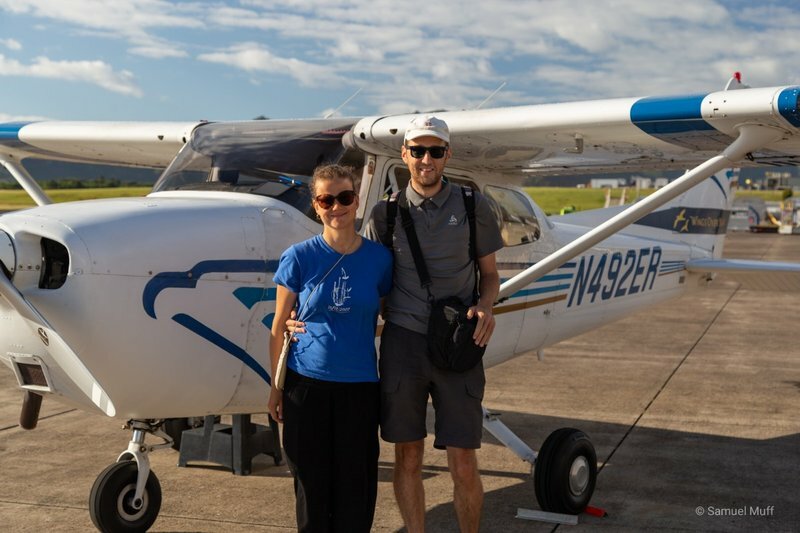 We booked a one-hour-flight in a small Cessna that was only seating the two of us and the pilot. 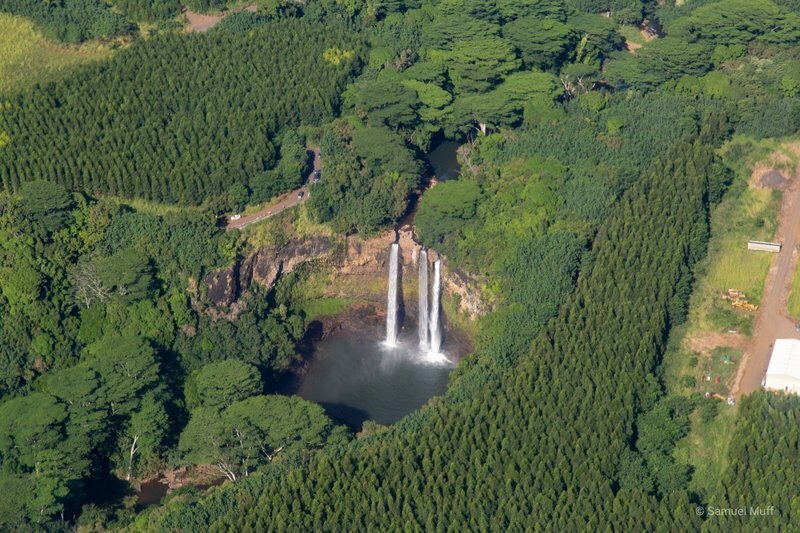 On our flight we got amazing bird’s-eye views of many green valleys and hundreds of waterfalls. 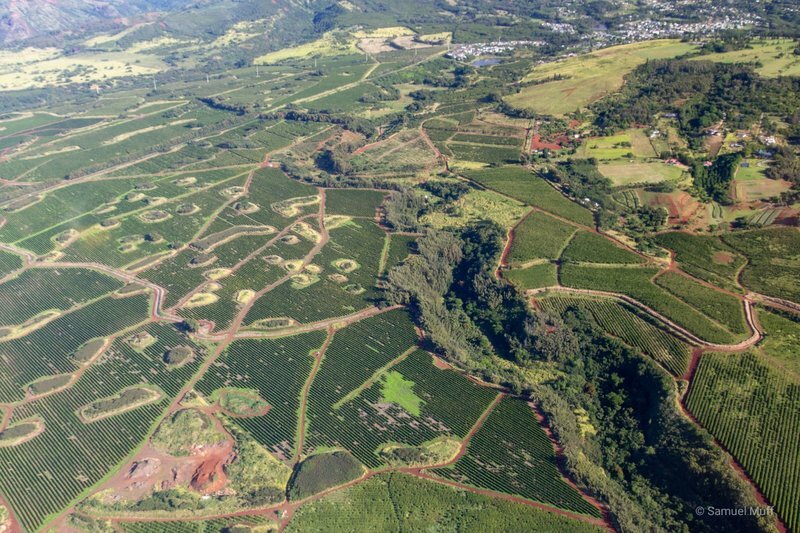 It was also very interesting to see all the places we already visited on the ground from the air, like the heart-shaped Po’ipu Beach, the vast plantations of the Kaua’i Coffee Company, the cliffs of the Na Pali Coast, Hanalei Bay with the mountains raising behind and Wailua Falls. 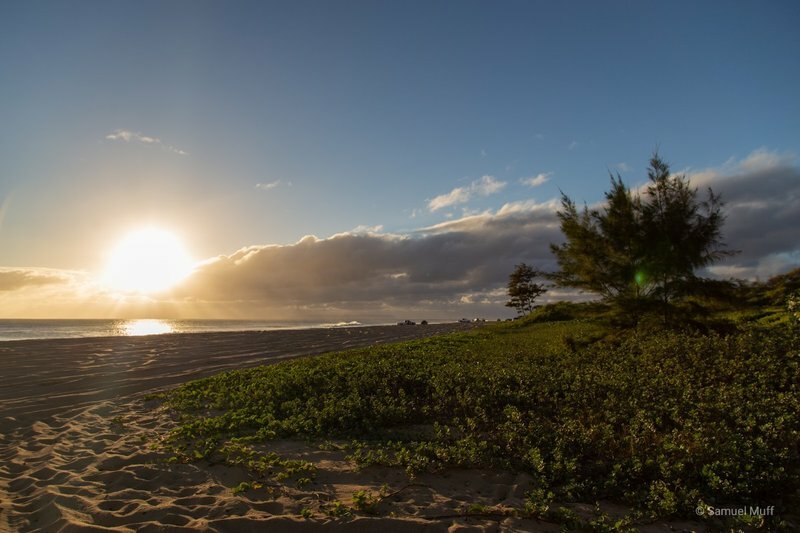 For the last night before our departure, we went back to our favorite camping spot at Kekaha Beach and enjoyed one last sunset on Kaua’i.